In a bit of a surprising move, Acer last week announced that its 4K HDR Predator X27 gaming display would be delayed to Q1 2018, missing the important holiday sales season. The monitor, based around an NVIDIA reference design for a G-Sync HDR display that was in turn revealed back at CES 2017, has been eagerly anticipated, and until now was expected by the end of this year. 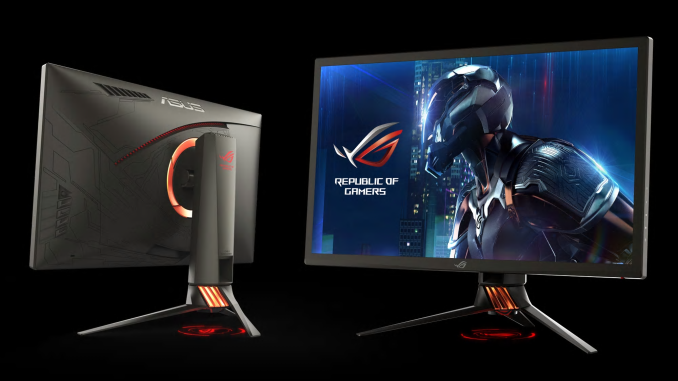 Meanwhile, ASUS's ROG Swift PG27UQ, which features virtually the same specifications, has also been delayed to 2018. 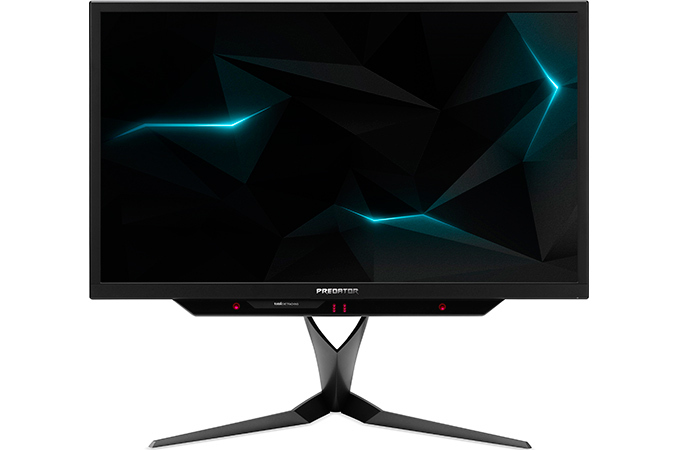 The Acer Predator X27 and the ASUS ROG Swift PG27UQ are based on AU Optronics’ M270QAN02.2 AHVA panel, which offers a 3840×2160 resolution and can reach a 144 Hz refresh rate. Combined with a direct LED backlighting system with 384 zones, and monitors based on the M270QAN02.2 panel have been shaping up to be the gaming monitors to get, as they would offer a second-to-none feature set list. So far, only Acer and ASUS have announced displays based on this panel, with both being fairly straightforward implementations of NVIDIA’s reference design. Neither Acer nor ASUS have disclosed the reason for the delay, but two specific possibilities come to mind: either the reference design needs to be further polished, or mass production of the panel was delayed by AUO. The latter was expected to start volume production of the M270QAN02.2 AHVA panel in July, but it's rare that we ever see public confirmation of panel mass production. Unfortunately for NVIDIA, this ultimately serves as a de-facto delay for their G-Sync HDR platform, as these displays are the flagship of the line. No other 4K G-Sync HDR displays have been announced, and there are precious few panels set to be released this year that would even meet NVIDIA's needs. Otherwise, in the opposing AMD camp, while none of AMD's partners have announced similar FreeSync displays, any potential products using the AUO panel should be similarly impacted. So FreeSync users looking for a flagship-quality FreeSync 2 HDR display will find themselves waiting into 2018 as well. "Meanwhile to no surprise (but always good for clarification), DisplayPort Active-Sync REMAINS AN OPTIONAL PART of the specification, so Adaptive-Sync availability will continue to be on a monitor-by-monitor basis as a premium feature."